This cute gift for Grandma & Grandpa will be a wonderful keepsake as they welcome their new grandchild. Makes a perfect new birth gift for new grandparents also. This cute gift for Grandma & Grandpa from their new grandchild will make them feel like the most loved grandparents in the world. 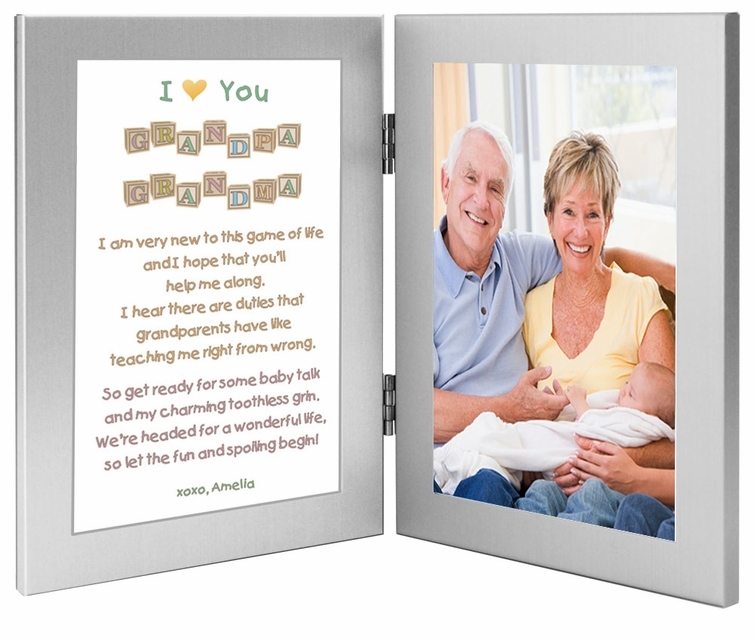 This modern double picture frame has a personalized poem for grandparents on the left side of the double frame. On the right side of the frame you or the child's grandparents can add a 4" x 6" photo of the grandchild or the grandparents with the baby. 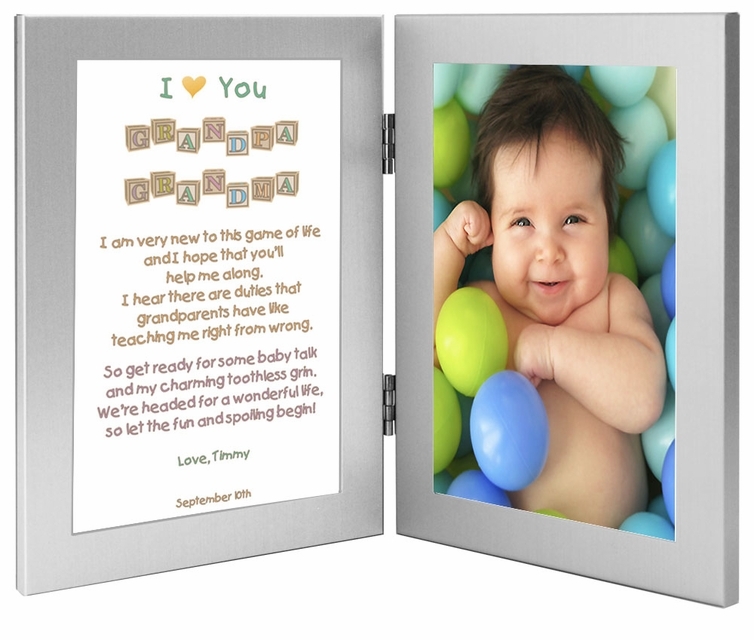 The frame is easily opened to insert a photo after delivery. Makes a wonderful new birth gift for Grandpa and Grandma. and our charming toothless grins.